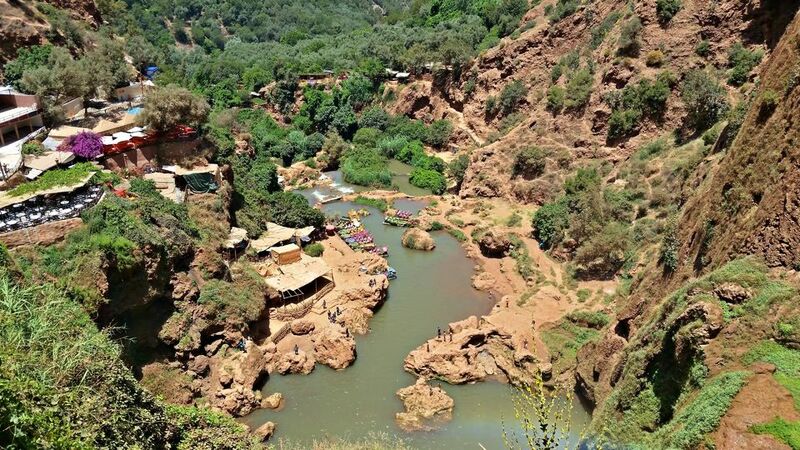 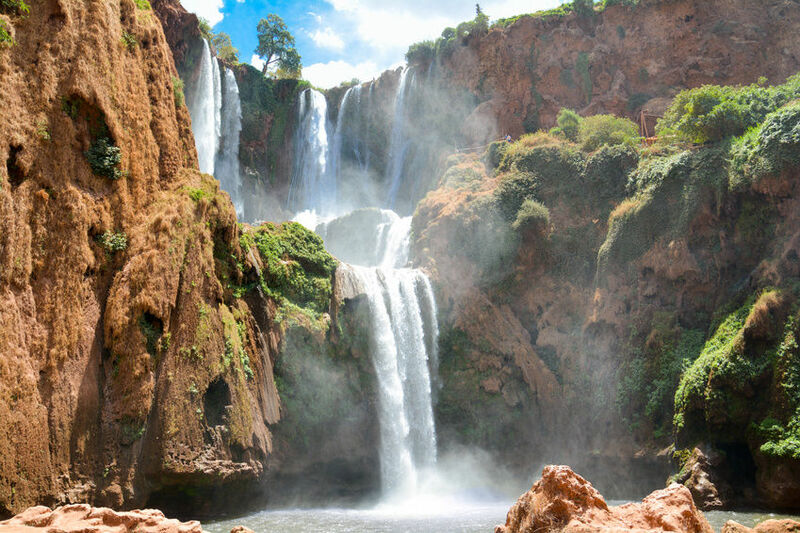 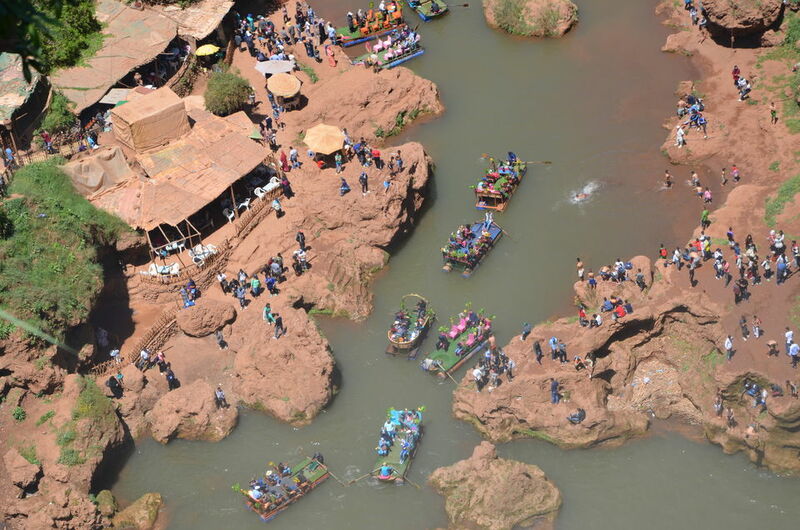 Visit the Ouzoud Waterfalls (Falls d'Ouzoud), a standout amongst the most shocking attractions in Morocco, on an entire day visit from Marrakech. 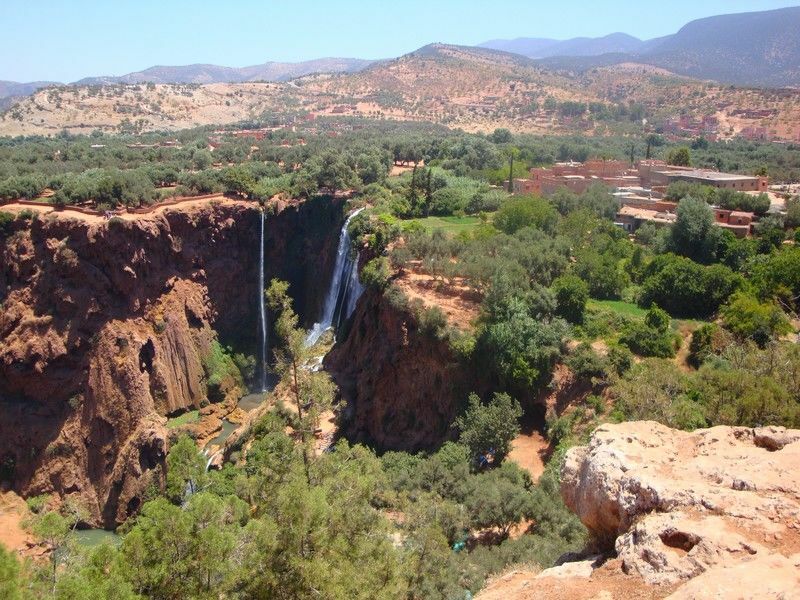 Found roughly 90 miles (150 kilometers) upper east of the city, the falls are near the Map book Mountains town of Tanaghmeilt and take their name from the Berber for "crushing grain." 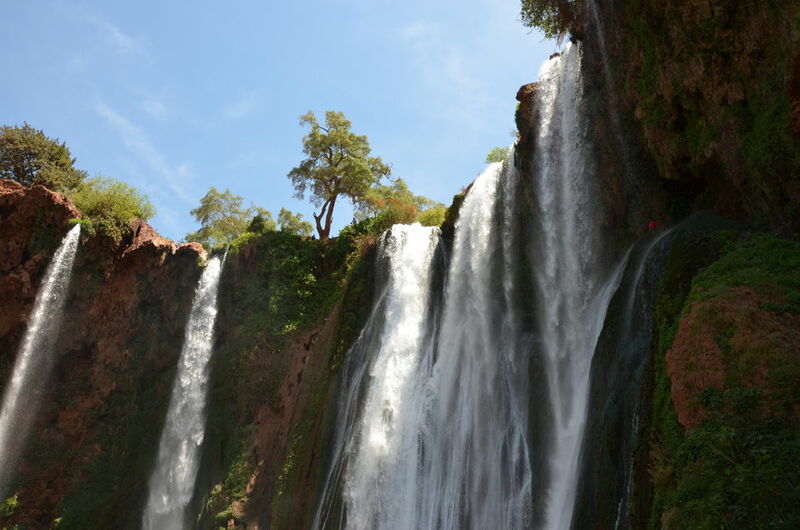 Upon entry, you will see the stream dive 300 feet (100 meters) in a mind boggling system of waterfalls that course one into another through 3 noteworthy and a few minor drops. 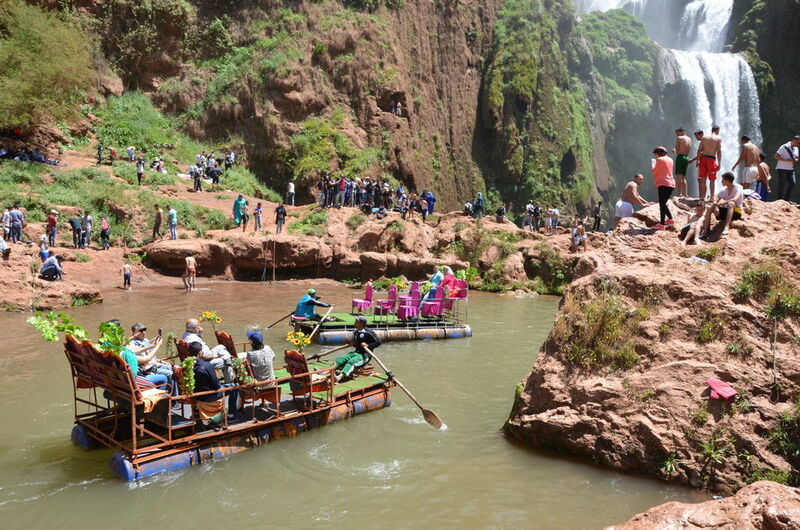 The great thunder relieves the spirit like an old children's song. 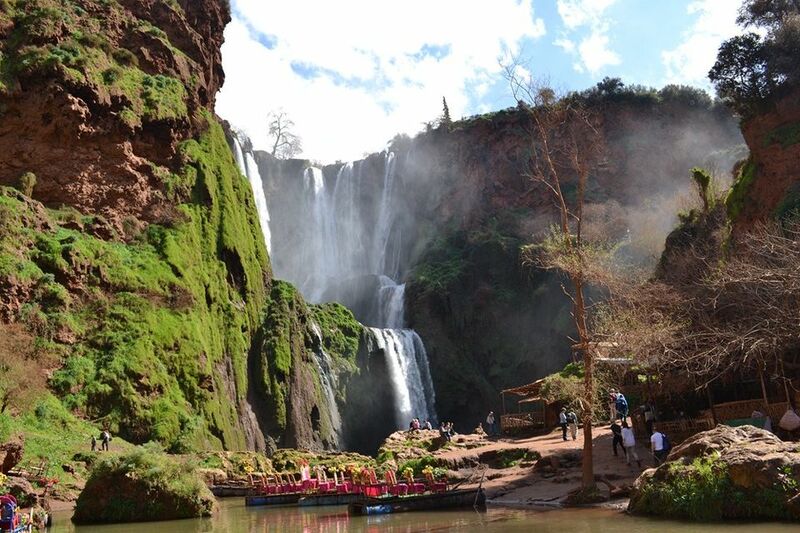 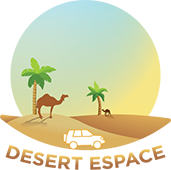 After this visit and your lunch there take road back to Marrakech.